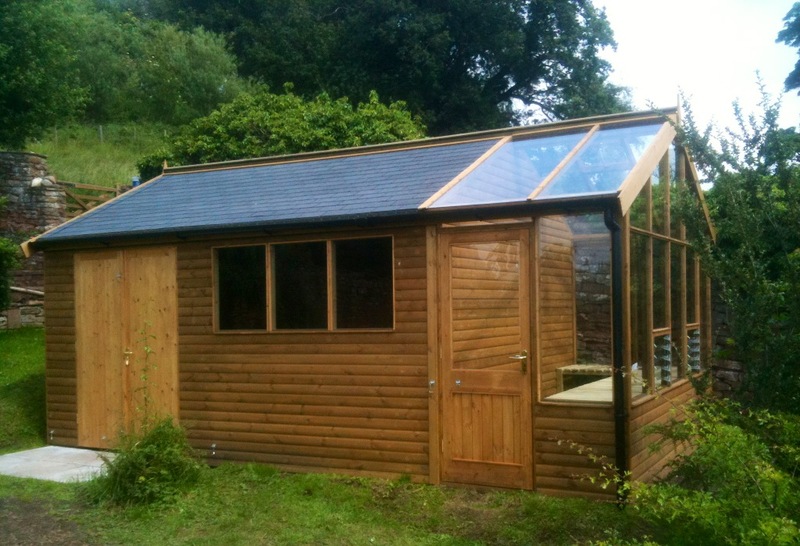 This Barracuda Shed Greenhouse combination building has it all for the keen gardener. A storage shed with greenhouse attached keeps all your gardening needs at your fingertips. The proportion of shed to greenhouse is decided by you. Access doors can be placed where you want them. The roof of the shed part is fibre glass. 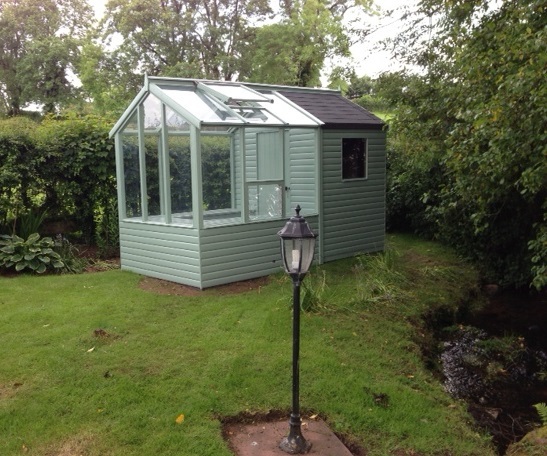 The greenhouse roof is fitted with no maintenance aluminium cappings and lead ridge. Automatic, solar powered roof openers, louvre vents and plant staging are included in the price. 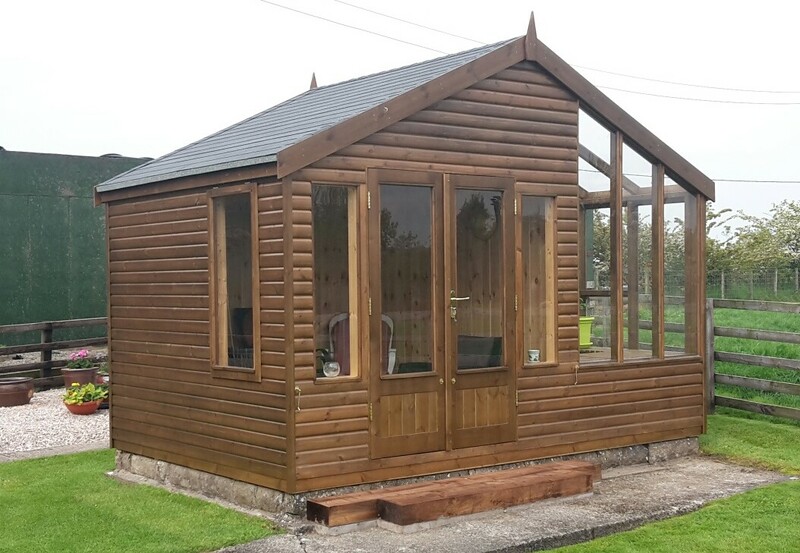 All glass is low iron, ultra-clear, toughened safety glass and all timber is treated and finished with a four coat stain or paint system in a colour of your choice prior to delivery.